edit: Now it's eighteen hands. EIGHTEEN HANDS! What am I, Jeffrey Dahmer?! Oh, wait, I can do this! It is also now available at full size and freely downloadable. I decided: Who the eff needs money?! Well, I do, but this is for SCIENCE! R, Heyuannia huangi, based on HYMV1-2. 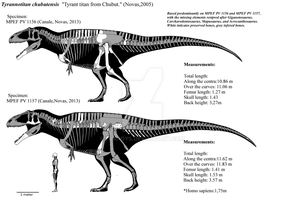 Reconstructing oviraptorosaurs is always damn hard with this huge variety of hand anatomy! No worries! 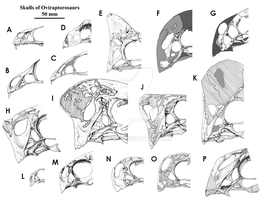 Hands are among the more diagnostic features of oviraptorosaurs. 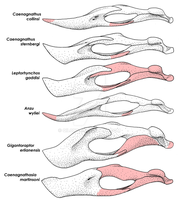 Skulls as well, but less common and less thoroughly described. F. Is the sexiest by far. Oh, wait, science huh? Well then F. has the most aesthetic morphology. I'll have to hand that aesthetic to you. Just don't knuckle under this praise. You may have the upper hand on the puns for now, but I'll claw my way to the top. As long as it's not used to give a finger to my work. Really cool to see how each subfamily has its own unique hand shape! I was putting this together in order to find that info. It turned out to be pretty consistent. That's why I do this stuff! Without people doing this, we'd have to rely on the Dave Peters of the world. Now, mind you, these illustrations are fairly Petersian: They are renderings, interpretations, stylized. As long as you come away with that warning in your head, should be good. 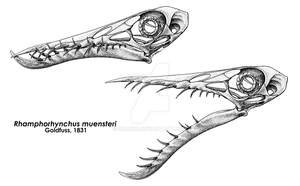 I'm aware of the roughness within those reconstructions, but it's enough for me to see the differences between the seperate families, it gives you a good sense for the diversity within oviraptorosaurs. ¡AMAZING! I have been recently reading about hands and I am searching for something like this! What's stand the "O" for, above the right picture? It stands for "Mistake." The leterr should be "N." "K" is missing and the letters should be moved over. I have to say, I laughted at the title/description combo.